So here we go! Just 1 month away from the Assassin's Creed Movie release in Singapore! I'm definitely concerned about the whole video-game movies not doing well. Hopefully the movie lives up to it's hype. It's been so many times where we think that this is it, that this movie will be the breakthrough video-game movie.. but it hasn't happened. For the record, I loved the Warcraft movie but it still wasn't critically well-received. No matter what, I'm still looking forward to this significant event as a whole. Not only for us fans of the game but also to our partners/spouses who have never played the games and will be accompanying us to the movie. This will be a great chance for them as well as many other movie-goers to be introduced to our beloved Assassin's Creed. Who knows? There could be many more new fans to the series! 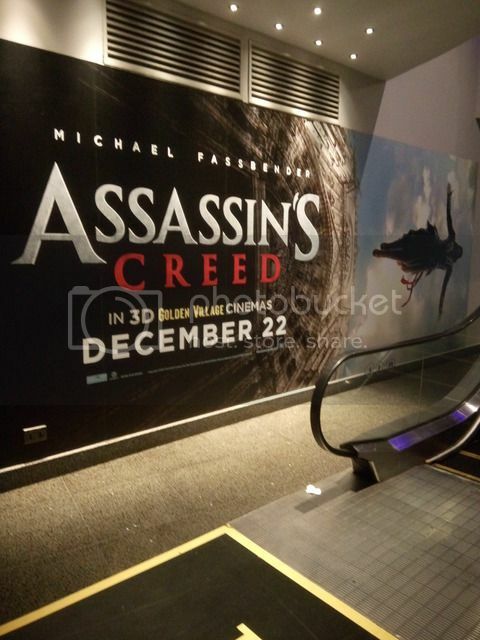 I would love to attend the Assassin's Creed movie premiere event if there's going to be one in Singapore. If there's any info on that, don't forget to give me a heads up! 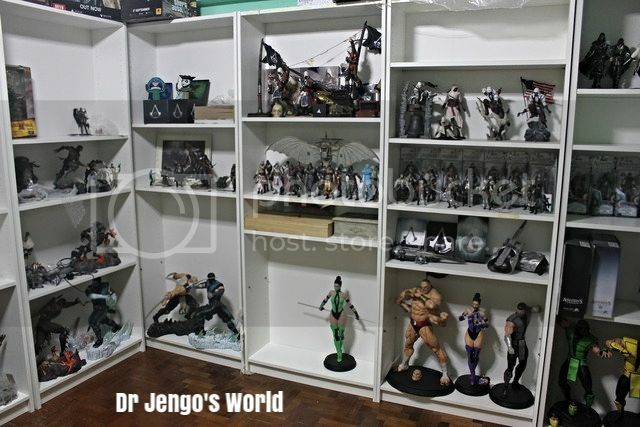 Collectibles! 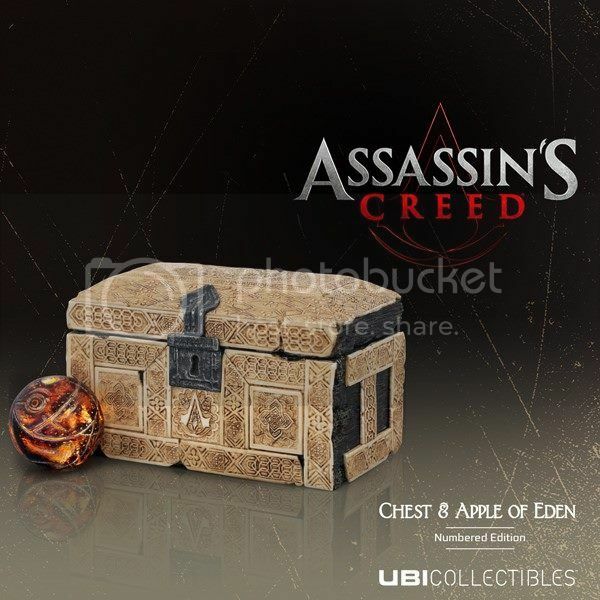 What's a AC release without collectibles? I'm building a mini database of collectibles related to the AC Movie over here. Help me out if I'm missing anything! Of course I'll be getting some of those on the list. Can't wait to expand the collection with these ones. Personally, I'm looking forward to the Chest with the Apple of Eden. This one will finally be released after being teased about 1-2 years ago. The Apple of Eden is one of the most important artifacts in the lore, can't wait to have this on my shelf. Finaly.. as we countdown the days to the movie's release, I will be updating the blog with Assassin's Creed stuff every day! As you can see above, the shelves are ready but there's still a bit of tidying up to do and some more space. There's quite a bit of stuff that I have yet to put up. So, as I take photos of them before they are displayed, I will also be updating the blog with pics of them. It won't be only collectibles, there's plenty of other Assassin's Creed-related updated and news that I would like to share with you guys. Do join me here as I share with you my love for Assassin's Creed in the next few weeks as we wait for my most anticipated movie of the year..
Assassin's Creed is an action adventure movie based on the video game franchise of the same name The movie is directed by Justin Kurzel.